This 100% Cabernet Franc originates from Rogue Valley, Oregon. More specifically, Gold Vineyard and Pheasant Hill vineyard in Southern Oregon. Grapes were harvested on September 28th and October 5th. Grapes were 100% destemmed and underwent a cold soak for three to four days. Fermentation took place with the D254 strain of yeast over a nine day period. Aging occured over a period of twenty months in mixed French cooperage. 144 cases produced. New world Cabernet Franc at its best. Rhubarb pie in a bottle. We last featured the 2012 Ransom Cabernet Franc and had to bring it back. This wine is elegant with aromatics of cigar box and rich cherry and baking spice notes. Liquid velvet, melt in your mouth with black plum on the finish. Best served with lollipop lamb chops good friends. 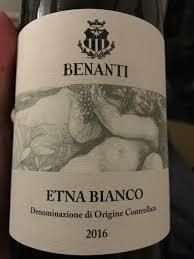 This 100% Carricante originates from the Etna Bianco DOC of Italy. More specifically, these grapes come from both the eastern and southern slopes of Mount Etna. Vines have a range in age between 20 and 60 years. Grapes are harvested by hand. Fermentation takes place in stainless steel tanks for 15 days. This is a super light delight! Don’t let the nose fool you. You may have trouble deciding what to think of this wine with it’s subtle nose, but once it hits your lips, you’ll get a ton of green apple and citrus fruit followed by excellent dryness. You’ll be impressed by the weight, or perhaps lack of weight to this wine. It goes down TOO EASY. This wine is best served on the patio in the last days of summer with light seafood dishes or no food at all. Enjoy! This 100% Lagrien originates from the Alto Adige appellation of Italy. More specifically, Perl Vineyard of Cantina Bolzano. This award winning winery was established in 2001 and offers a wide range of wines with a focus on quality. Harvest takes place in late September to mid-October. Malolactic fermentation occurs in stainless steel and in oak barrels. Maturation in wooden casks before bottling. Lagrein is a wine grape variety that is native northern Italy. You may not have heard of it but you’ll be glad you had the chance to try it. Think of it as the distant European relative or Syrah and Pinot Noir. To put it simply, this wine will seduce you with its balance of cherry fruit and velvet tannins. Super cool wine to bring to your next gathering. I’ll bet nobody guesses this wine. Best served with friends and beef stew. 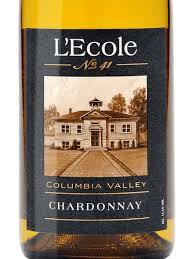 This 100% Chardonnay originates from Columbia Valley, Washington. More specifically, it comes from the Schmitt (40%), Evergreen (35%), and Oasis (25%) Vineyards. Tropical fruit notes come from both Schmitt and Oasis while the acidity and minerality notes come from Evergreen Vineyard. Grapes were harvested in the early morning hours and immediately whole cluster pressed. Aging occurs in tight grained French oak barrels. Case production of 5,355. Boom! Your summer Chard is here and just in time! This wine is the perfect mix of stone fruit, a hint of butter, and a strong oak and creamy finish. All Chardonnay lovers will agree, this is a keeper. Close your eyes and enjoy notes of backed apple, brioche, and dried mango. Best served with family and friends in the last days of summer. This estate grown 100% Pinot Noir originates from the Sancerre appellation of France. Grapes are harvested, sorted, and destemmed by hand. Maceration occurs for about 30 days at a controlled temperature. Aging occurs in barrels (70%) and stainless steel (30%) tanks for 11 months. 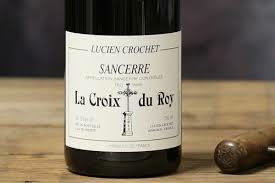 Have you ever had a Pinot Noir from Sancerre? If not, you should be drinking Pinot Noir from Sancerre. Specifically, this Pinot Noir. This is fruit done right the European way. Ruby red in color, delicate, and not in your face. You will get a touch of leather, and easy going cherries. This wine is super silky smooth. You will find yourself going back to the bottle to revisit this wine again and again. This wine is best served with grilled chicken and veggies or fish. Oh, and with friends! This 100% Chenin Blanc originates from the Loire valley of France. No vintage is listed on the bottle but rest assured it is indeed 2011. The principle reason for this omission is the fact that not every year produce conditions suitable to produce this wine. It rests on the lees for a minimum of 48 months but can be much longer. Fermentation takes place with indigenous yeast and is aged in 300-liter oak barrels (5% new added each year). We put this wine up against your favorite Champagne. 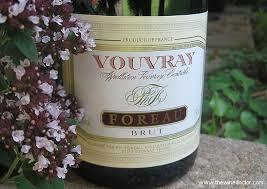 It is all of the refreshing floral notes with nice dryness you are looking for at a great price. You will get a high level of acidity with citrus fruit and almonds. Best served with cream sauce pasta with your favorite assortment of mushrooms and with friends. This blend of Zinfandel (67%), Syrah (22%), and Mourvedre (11%) originates from Paso Robles, California. More specifically, the Linne Calodo Estate Ranch and G2 Vineyard of Willow Creek District. The harvesting process includes a hand sort of both whole cluster and individual berry sort. Grapes were destemmed and fermented using native yeast into open top stainless steel tanks. Aging occured in neutral American oak barrels for a period of 12 months. Production is limited to 420 cases. Slacker Wines lives up to its name, just visit the website if you don’t believe us. Their focus is on making delicious wine with no big hoopla behind it. Just enjoy it, it’s wine. This delicious blend is a fruit forward dark fruit gem. Super smooth and balanced throughout. The “Wanna Be” is a true people pleaser. Everyone will enjoy it. Best served in a casual setting with your friends and family.